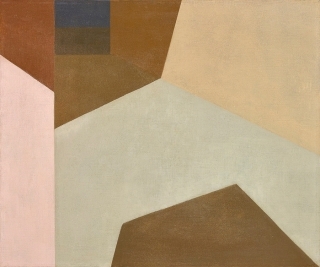 Cristin Tierney Gallery is pleased to present Classic Attitude, an exhibition of hard-edged abstract paintings from the early 1960s by Helen Lundeberg. Classic Attitude opens on Thursday, November 3rd with a reception from 6:00 to 8:00 pm. 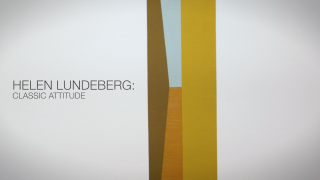 This is the gallery’s first exhibition of Lundeberg’s work. Helen Lundeberg was a leading figure of west coast abstraction in the post-war era. An active painter and writer, she was at the epicenter of a dynamic group of Los Angeles artists and critics that included Lorser Feitelson, Karl Benjamin, Jules Langsner, John McLaughlin, and Frederick Hammersley. Along with her peers, Lundeberg’s work formed the core of what later became known as California hard-edged painting. 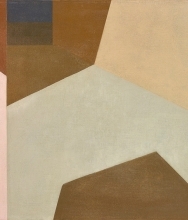 Although her contributions to American abstraction have long been recognized on the west coast, Lundeberg has yet to receive her due in the east. whole organization. That, I believe, is the classic attitude. Lundeberg’s attention to formal elements such as balance and color connect her to a previous generation of abstract artists, including Henri Matisse, Piet Mondrian, and Josef Albers. 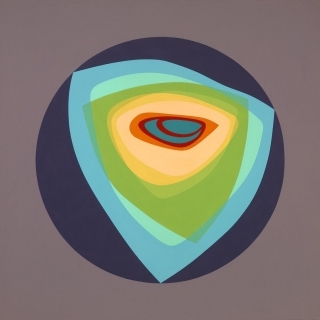 Similarly, her reductive forms, flat surfaces, and spare compositions link her to contemporaries such as Ad Reinhardt, Ellsworth Kelly, and Agnes Martin. But unlike these other artists, Lundeberg's vision of abstraction remained connected to the world around her. In Desert Road, Lundeberg’s flat, unmodulated swaths of color coalesce to form the view suggested by the painting’s title. Dramatic landscapes and architectural vistas such as these were composed of forms remembered—things "imagined rather than 'seen,'" as she stated later in life. The works presented in Classic Attitude encapsulate Lundeberg’s uniquely classic approach, and underscore her rightful place in the art historical canon. 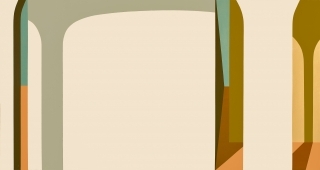 Helen Lundeberg (1908-1999) was born in Chicago and graduated from Pasadena City College in 1930. She co-founded the movement Subjective Classicism, also known as Post Surrealism, before becoming an integral part of the west coast abstract circle. In spring 2016 The Laguna Art Museum presented a retrospective of her work. She has also had solo exhibitions at The Fresno Art Museum, Los Angeles County Museum of Art, University Art Museum in Santa Barbara, Long Beach Museum of Art, and Santa Barbara Museum of Art. Her work is included in the permanent collections of The Los Angeles County Museum of Art, Smithsonian American Art Museum, Norton Simon Museum, San Francisco Museum of Modern Art, Laguna Art Museum, Museum of Contemporary Art in San Diego, Museum of Fine Arts in Boston, Orange County Museum of Art, Hirshhorn Museum and Sculpture Garden, San Diego Museum of Art, Oakland Museum, Norton Museum of Art, Georgia Museum of Art, and Fresno Art Museum. 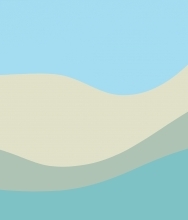 Helen Lundeberg, statement in Dorothy Miller, editor. Americans 1942: 18 Artists from 9 States. New York: Museum of Modern Art, 1942. Page 93. 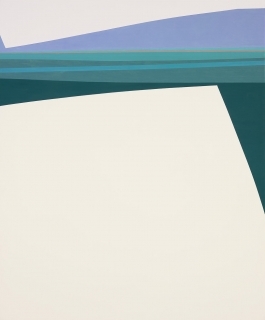 Helen Lundeberg, letter to Lea Rosson DeLong, August 3, 1982, box 2, folder 35, Feitelson and Lundeberg papers. 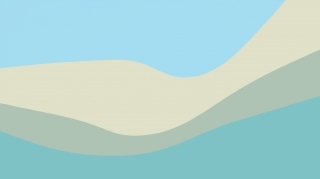 American Artist Helen Lundeberg Masters the "Classic Attitude"
Video | "Helen Lundeberg: Classic Attitude"